The Pinning Ceremony, which took place on Monday, August 20th, is a symbolic welcoming of newly graduated nurses into the nursing profession. The graduates are presented with a pin, by a loved one or faculty member in the field of nursing selected by the graduate. Julia was presented her pin by S.U. faculty member Dr. Heather Depuydt and her mother Jane Mariga. Dr. Depuydt has provided Julia a tremendous amount of support since her first year in nursing school. She ignited in Julia a deeper passion for social justice, and became a powerful source of strength and joy for many of her students. Being joined by her mother, a nursing assistant, was beyond question. “I would not be here without her. The amount of support she has given me...I couldn’t go up there without my mama!” says Julia. In addition to being selected as the student speaker Julia was also the recipient of the Nursing Service Award, one of only three student awards distributed during the Pinning Ceremony. Getting through the “crappy days” requires demonstrating civility and patience by understanding where patients are coming from even when they may not be acting civilly themselves. You have to be patient and compassionate during the hard times, “remember the days that went well,” and appreciate the fact that, regardless of the quality of the day, you were of service. Practicing self care is another important takeaway from nursing school. “Being able to take care of yourself is important to being able to take care of others,” emphasizes Julia. This was a concept that was drilled into Julia and her peers since day one. But it wasn’t until classes got more intense that they really started to understand the importance. For Julia, self care is getting outside. “Going on a hike releases any stress I had from the week.” If she’s unable to get out for a long hike, it is at least important to take time to breathe, or find something that makes her laugh. The importance of support and community was an impactful realization Julia will be taking away from the Alfie Scholars program. Transitioning from a small community college to a larger university is not easy; it requires support. Her fellow Alfie cohort members became family and gave integral support. Via this community, she was able to see the commonality and the beauty in different people, personalities, ages, degrees. They were people who understand the power of education and the difficulty of this transition because they were going through the same thing. Learning how to be an advocate for yourself and others is another takeaway Julia has from the Alfie Scholars. The program’s emphasis on social justice and not standing for the status quo is something that Julia will be applying directly to nursing, wherein you are constantly advocating for your patient. 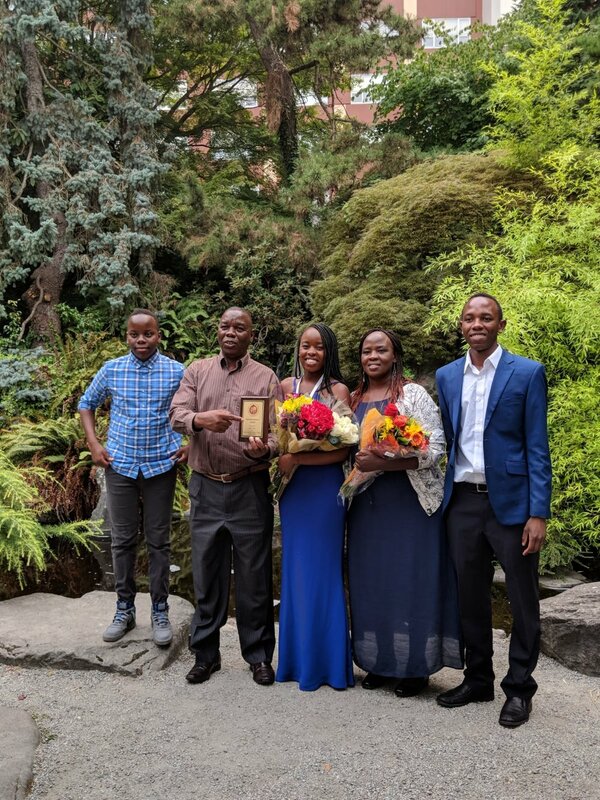 Julia plans to take her exam to become a licensed nurse in September after which she will take some well-deserved vacation time in Kenya to visit family and Germany to visit friends. She will practice nursing in Seattle once registered, but still plans to bring her expertise to Kenya where she hopes to help make access to medical care more readily available.